Rebelling against traditional middle-class values with sneakers, modern music and a less formal interaction between the sexes. 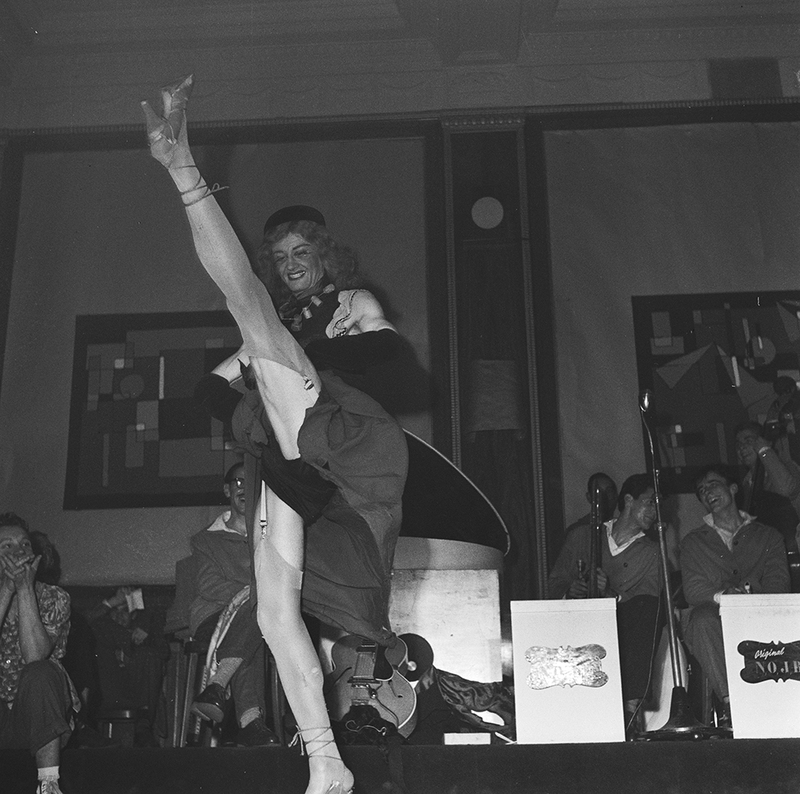 The youth of the 1950s were influenced by the American way of life. In the 1950s, many young people started rebelling against the traditionally middle-class values of their parents. They were inspired by the American way of life, and wanted one thing above all: greater freedom. In Zurich people met in a café, and in Lausanne the parties were held in a hotel basement. After the Second World War, Switzerland experienced an economic boom. The standard of living improved, and people benefited from the amenities of the rapidly developing technology. In the living room television provided access to more comprehensive information and new entertainment options, and in the basement, the washing machine took the strain out of housework. Society was shaped by middle-class values. Young people began to rebel against those values. Influenced by the USA, they dreamed of rock ’n’ roll, wild parties and a life with no constraints. The conservative attitude of many parents clashed with their children’s desire for freedom. Social structures were slowly but steadily broken down. Especially in the cities, the youth of the 1950s spread a spirit of optimism. The great rebellion that would break out in 1968 was still a long way off. But the desire of the younger generation to break away from the existing conventions intensified. Slowly and perhaps a little hesitantly, young people started taking the first steps towards ‘freedom’. In Zurich, these ‘young rowdies’ gathered in the Café Ring in Niederdorf and listened to the latest rock ’n’ roll songs from America on the newly arrived jukebox. They also discussed their idols, James Dean and Marilyn Monroe. 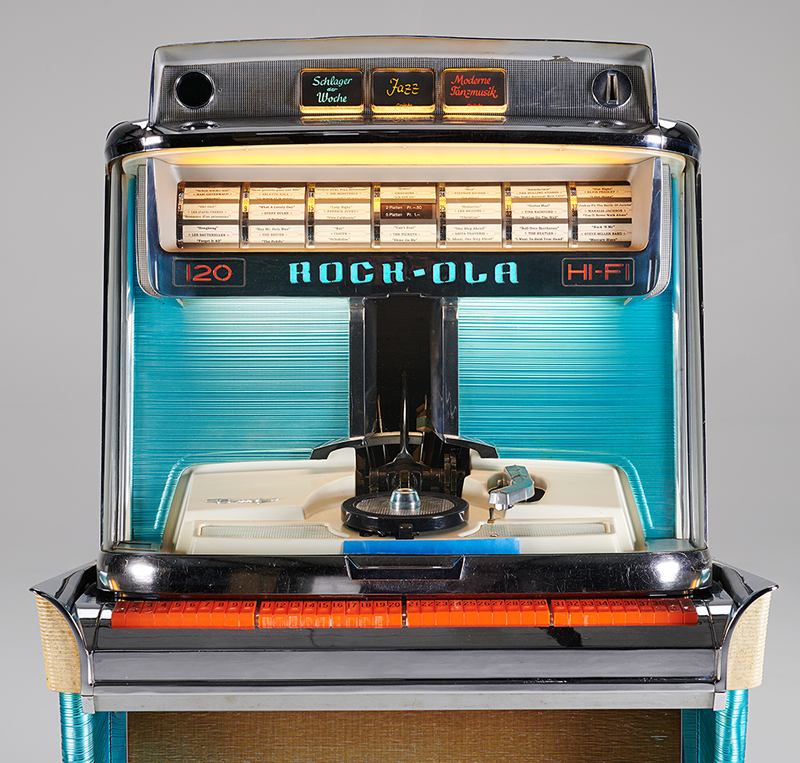 A Rock-Ola tempo 120 jukebox from the USA. This model dates from 1959. In Lausanne, the wild young things met on Sunday evenings in a club set up in a hotel basement, the Saint-François-des-Prés. They recited poetry, played jazz music and danced. But it wasn’t the traditional couples dances that they did; it was swing and jitterbug to raucous rhythms from overseas. Men and women enjoyed closer physical proximity in this free and easy atmosphere. They more or less jitterbugged their way away from the prevailing standards of morality. A reporter from the press photo agency Presse Diffusion Lausanne visited the basement in 1950 and, after initial scepticism, let himself be drawn ‘under the spell of this microcosm’. ‘A very serious gentleman goes in, ready to criticise everything – and ends up enjoying himself as he rarely has in his life before,’ he wrote at the beginning of his article, before going on to wax lyrical about the atmosphere in the room. Even an appearance by a well-known drag queen failed to shock him. With their Saint-François-des-Prés club the youth of Lausanne led the way in Switzerland and, literally underground, ushered in a cultural revolution which, in the late 1960s, would shake society to its core and has continued to this day to bring changes to our lives. The swing even found its way to Switzerland. 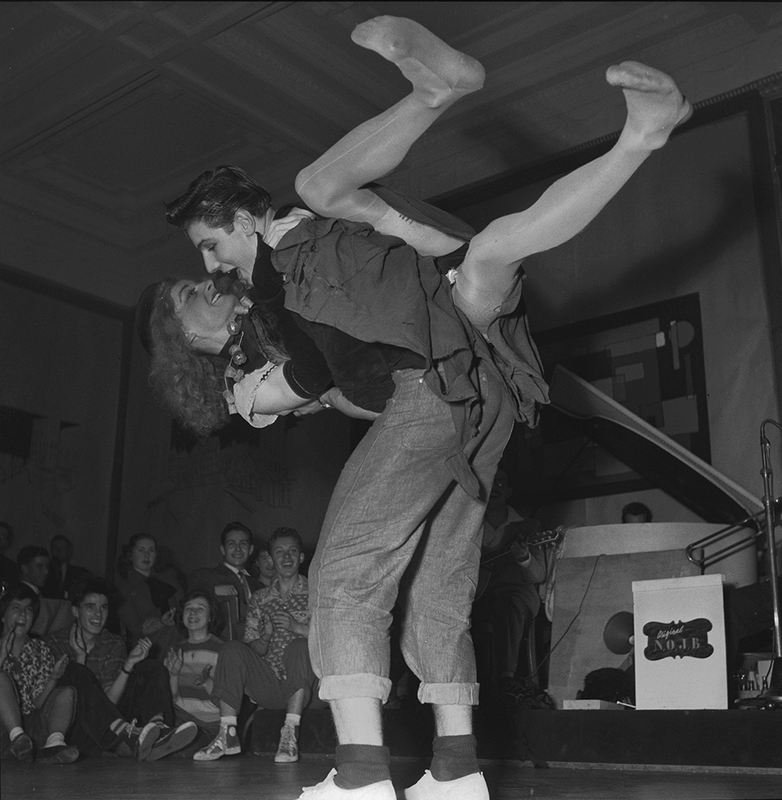 A couple dancing in a basement club in Lausanne, 1950. The new, 1,000-m2 Swiss history exhibition depicts how Switzerland came to be over a period of 550 years. The tour through the centuries begins in the late Middle Ages and ends with the challenges facing democratic institutions in the present. The exhibition illustrates the journey from a confederation of states to a federal state as a struggle for identity. In addition, it crosses a time boundary that is often considered taboo for historical museums: It dares to examine contemporary history. Drag queen Carmen was well known in Lausanne and often made an appearance in the basement.